Somers Day is annually celebrated in Bermuda on Friday before the first Monday of August. This celebration is one of the days, that are known as Cup Match, and it's dedicated to George Somers. Admiral Sir George Somers is known as the founder of the English colony, the Somers Isles, that is present-day Bermuda. He found Bermuda by chance. In 1609 the fleet was sailing to Jamestown, Virginia, but his ship ran into storm and separated from other ships. There was a leakage in the ship and Admiral Somers decided to save his crew and passengers, by sailing the ship to a reef, which turned out to be Bermuda. All 150 people and a dog on board reached the shore, that was later named Discovery Bay. They remained on the island for 10 months, living on the food they could find. During that time Somers and his crew built some houses and a church, thus starting the Bermuda Colony. Admiral Somers died in Bermuda in 1610 at that age of 56. 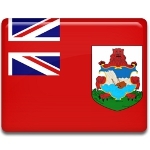 Citizens of Bermuda celebrate Somers Day as the second day of Cup Match. Cricket competitions, one of the most famous kinds of sports in Bermuda, are held. Celebration of Cup Match is a real festival for everyone.